About 20 years ago, I remember being in the tasting room of Wente Winery during my internship and the tasting room manager was doing a wine pairing with me. He made beef jerky and paired it with their Cabernet Sauvignon. He also showed me a brownie mix they sold, that you add eggs, oil and Cabernet Sauvignon. I was sold! I have adapted this concept and made my own brownie recipe. 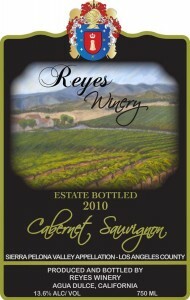 Reyes Winery 2010 Cabernet Sauvignon has a sweet aroma gives this fruity wine its huge popularity. Raspberries, Cocoa and Blackberries are constituents of its amazing aroma. Flavors of black cherry offer a delightful lengthy finish. This was from our second bottling from our Sierra Pelona Valley Appellation. A top seller since bottling, this wine is smooth and delightful till the last drop. This Cabernet Sauvignon has won a silver medal in the 2012 LA International Wine & Spirits Competition and 3 bronze medals; 2012 O.C. 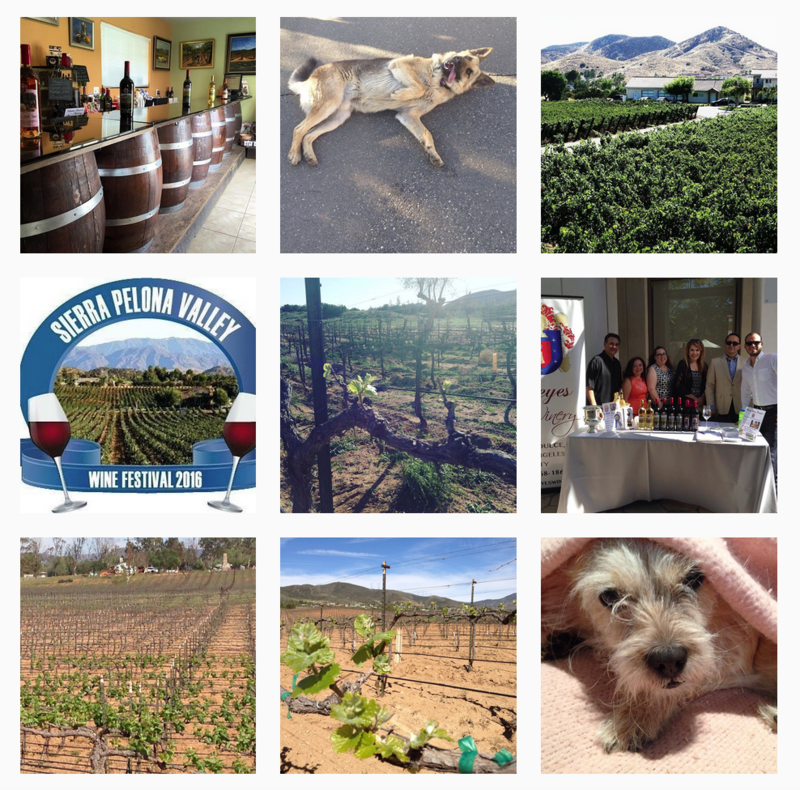 Fair, 2013 LA International Wine & Spirits Competition, and the 2013 San Diego County Fair Commercial Wine Competition. Plus was awarded 82 points in the Wine Enthusiasts Magazine in the March 2018 edition. Cabernet Sauvignon can be paired with a peppercorn crusted Parmesan, Abbot’s Gold cheese, or even a horseradish Havarti. Filet Mignon topped with blue cheese would be a great dinner with a bottle of this award winning wine. Then for dessert, chocolate cream pie! 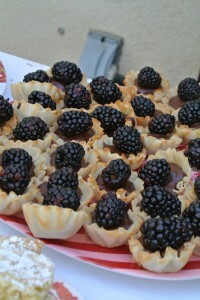 Three years ago, at a press conference, I made individual chocolate Cabernet cream pies topped with a blackberry. This is a recipe for the chocolate pudding filling. For chocolate pudding, add ½ cup more cream or milk. Reduce heat to low and cook for 4 minutes while continuing to whisk. Place into refrigerator to cool. Top with whip cream and fresh blackberries. ← Petite Sirah, Syrah….are they the same or different?